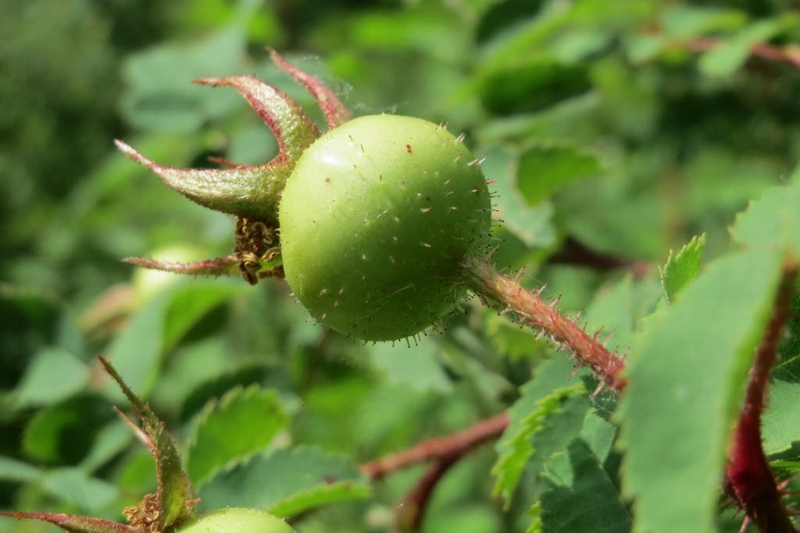 Scotch Rose (Rosa pimpinellifolia): growing, planting, caring. A group or roses with many prickles! 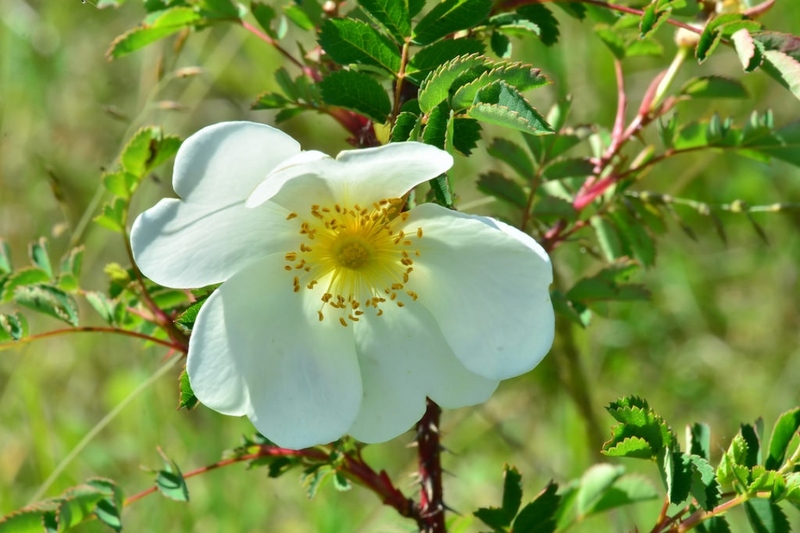 Rosa pimpinellifolia - the Scotch rose or burnet rose - is a wild species of rose native to Europe and northwest Africa. It is generally restricted to sand dunes and typically has a coastal distribution when not on limestone. It is a rather low erect deciduous plant usually from 20–140 cm high, spreading by basal shoots and easily covering large areas. 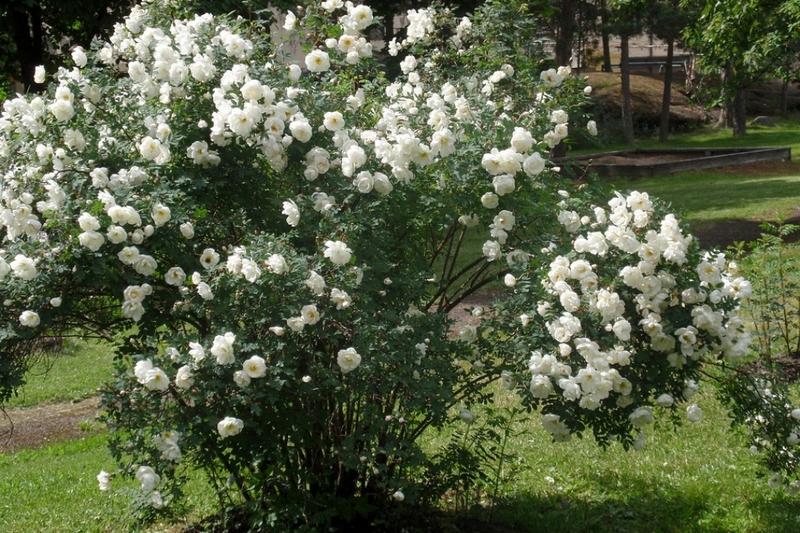 The 2–4 cm diameter flowers are cream-white or pale pink with five petals. 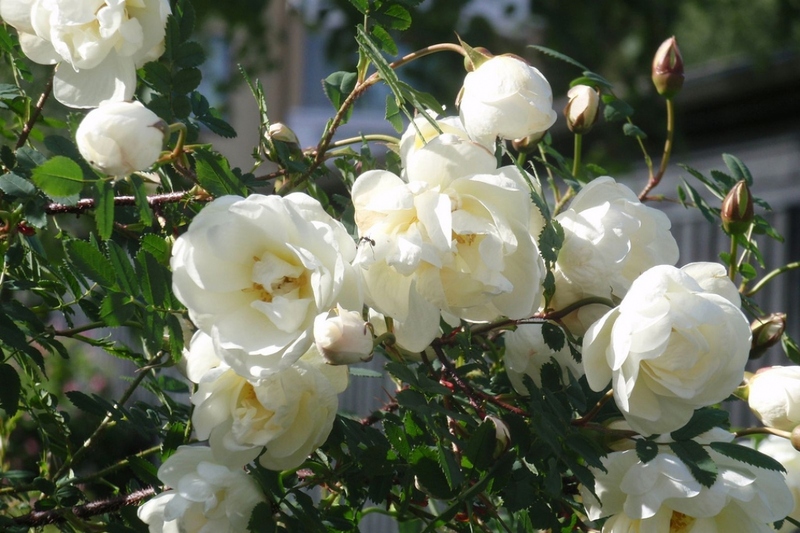 From this wild species derives a group of roses with numerous varieties, of which "Stanwell Perpetual" with very pale pink double flowers, fading to white.